10/100/1000 Aggregator nTAP | VIAVI Solutions Inc. Transfers network traffic from a full-duplex copper link to a copper analysis or security device. 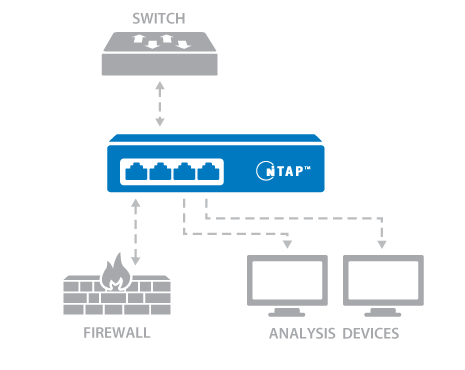 nTAPs are passive, full-duplex devices, offering complete visibility to monitoring devices regardless of traffic level. They work with the leading management tools for quick and easy deployment. nTAPs are transparent for monitoring critical links, and provide continuous network data flow even if power fails. nTAPs are scalable, modularized, space efficient, and economical.